Direct your PA tax dollars to John W. Hallahan through these tax credit programs. The EITC and OSTC tax programs present an opportunity for companies and qualifying individuals to re-direct their PA state tax dollars to education and specifically to John W. Hallahan CGHS in support of financial assistance and mission-related projects. Your taxes, your choice! Make your PA state tax dollars work for John W. Hallahan CGHS through BLOCS (Business Leadership Organized for Catholic Schools) or the Henkels Foundation. 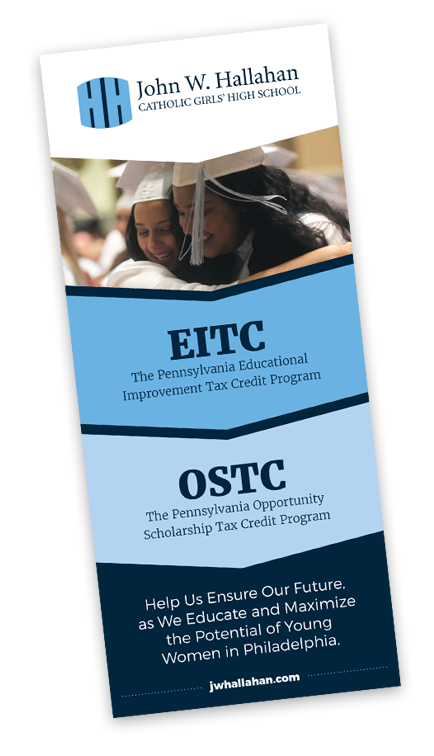 Companies and individuals can redirect their tax dollars to Hallahan through PA’s EITC/OSTC Tax Credit Program. 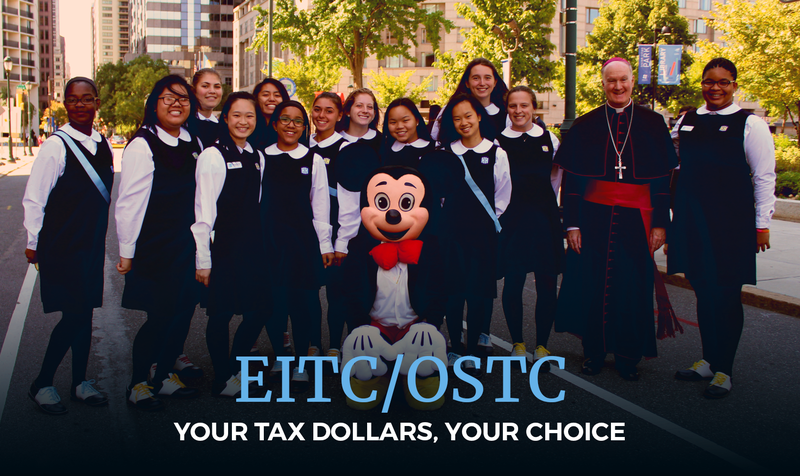 NOTE: John W. Hallahan CGHS does not appear on the EITC/OSTC recipient list, but does receive these funds when designated to us through BLOCS and the Henkels Foundation. THIS IS YOUR CHANCE TO SUPPORT HALLAHAN’S FUTURE AS AN EXCELLENT SCHOOL IN AN EASY 1-2-3 PROCESS. When approved, 75% of your contribution to Hallahan will post as a tax credit for your business. The tax credit increases to 90% if your company commits to making the same donation for two consecutive years. A business paying taxes in Pennsylvania can receive up to $300,000 in tax credits annually. Our school receives the EITC/OSTC contributions designated to John W. Hallahan CGHS through 2 scholarship organizations: BLOCS (Business Leadership Organized for Catholic Schools) and the Henkels Foundation.